Harrington Buck P.C. | Legal Services | Residential Real Estate Law - Burlington Area Chamber of Commerce ? 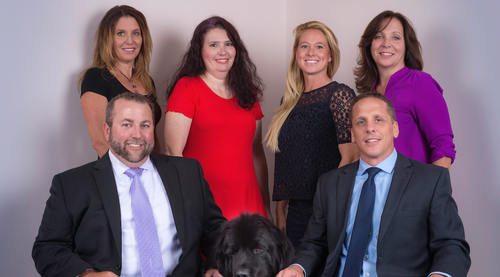 Harrington Buck PC is a general practice law firm handling all types of real estate law, condominium law, estate planning and elder law, probate, personal injury, workers compensation claims and business planning. Our lawyers have years of experience in their areas of expertise. Our practice is based upon long term relationships with clients. Your case will be given the professional attention that it requires without ever having to be concerned that you are being charged unfairly. In addition to the above practice areas, we maintain a busy real estate closing and escrow practice, regularly handling real estate closings all over Massachusetts and New Hampshire. If you require services that we do not handle regularly, we will refer you to a lawyer who specializes in the applicable area of law and, at no cost to you, we will monitor your case and assure that you remain in good hands. Our firm maintains relationships with the best medical malpractice and other specialty firms in New England.